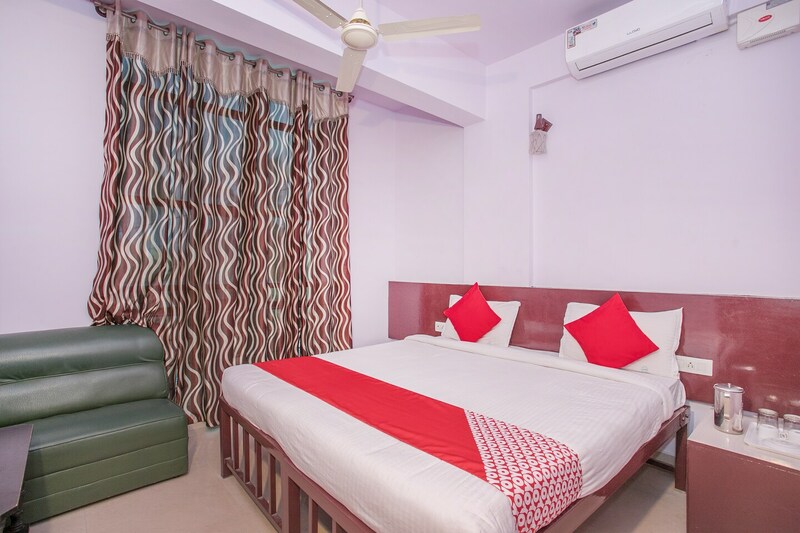 The rooms offered at Udupi Park Inn are truly sights to behold. Soothing monochromatic hues have been used throughout the room and the walls have been decorated with life-size paintings. The rooms are well-furnished and have been decorated in curtains with bold colors and intricate patterns. The rooms are well-lit due to the wise positioning of artificial lights throughout the room. The rooms have a classy ambiance. The extra amenities provided by the hotel are free Wifi, card payment in all forms, an uninterrupted constant power backup supply, and CCTV cameras. The in-house facilities include a common dining area, and a restaurant which can be used by the guests as and when required.